PALESTINE: Can photography change the narratives around Palestinian Arab women? How does photography influence our understanding of both the role of women and women's opportunities to participate in sport in the Middle East? Through several photographic series in the project RAMALLAH TRONDHEIM SERIES (2012-2017), little known stories from deep within the Palestinian contemporary Arab culture were told. Other stories than we ordinarily see through media. 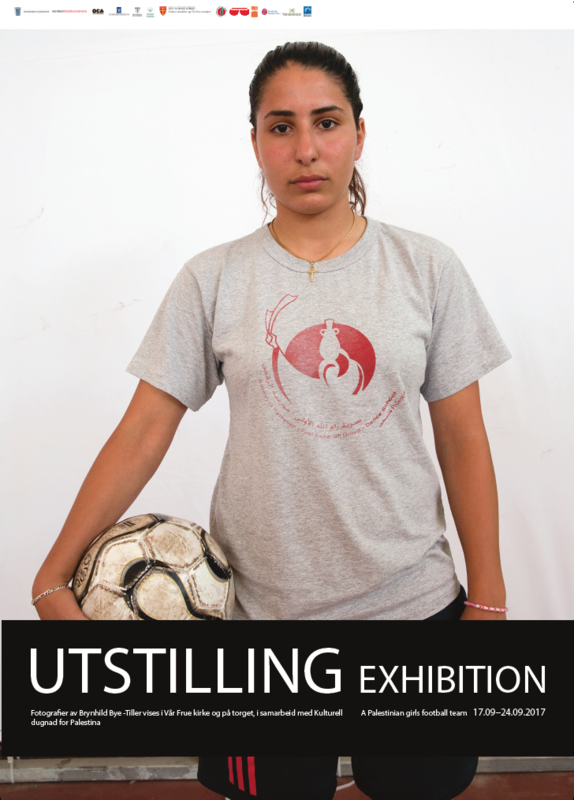 Stories about the Women's Football Team from Sareyyet Ramallah, occupied West Bank. 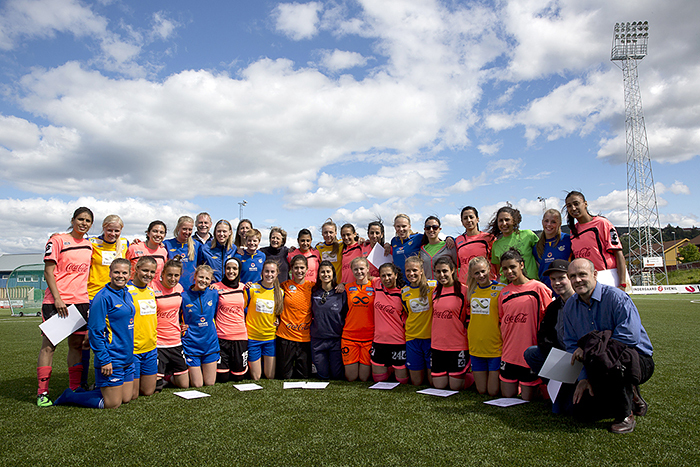 About the player's everyday-life, their participating in football activities and their trip to Norway the summer of 2014. The artistic work was concerned with identity, gender and stereotypes. About humanizing Arabs. Not the extreme polarized version. The goal was to study, discuss and develop participatory methodologies and to shoot several photographic series. The project alternated deliberately between a traditional narrative approach and participation, blurring the lines between art and documentary. The social and practical situations that arise as a result of these different approaches was the very space where documentary photography and socially engaged art encountered each other. It was in this tension between a broad documentary activity and participatory methodologies, that RAMALLAH TRONDHEIM SERIES could find a new context. RAMALLAH TRONDHEIM SERIES contained several activities: 5 short stays in Ramallah, 3 lectures, conversations, meetings, project management, home visits, a photo workshop, shooting and making several photographic series, one photographic book, a ten-day stay and journey to Norway for the Palestinian team, collaboration with the Norwegian team Trondheims Ørn, use of social media and three exhibitions featuring several photographic series. 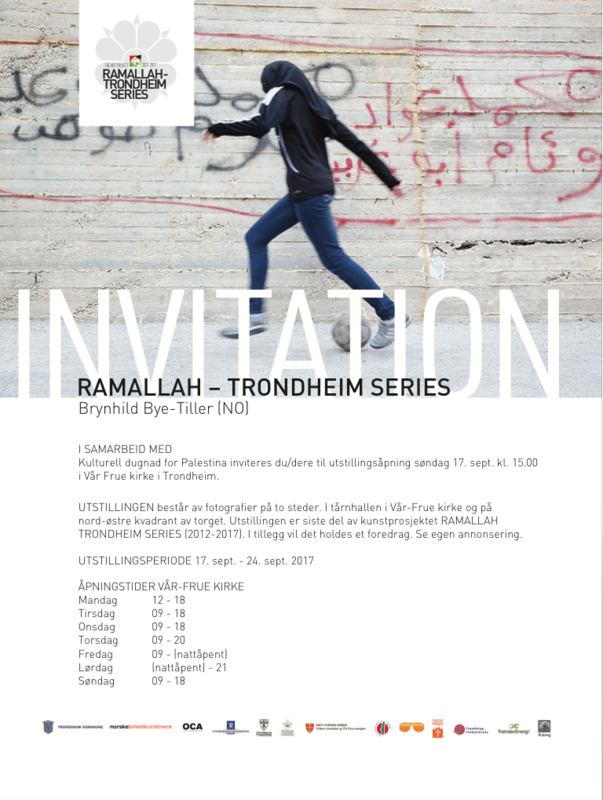 Hence the title RAMALLAH – TRONDHEIM SERIES. The photo workshop conducted in occupied West Bank was open for photographers, students and local artists. Four participants from the workshop participated in the exhibition held in Ramallah, Palestine. This provided a different perspectives on the project key content. "Gender, identity and misconceptions". A workshop will also exchange knowledge and provide another kind of contact between me, a Norwegian artist and the local artists rather than just producing an exhibition. 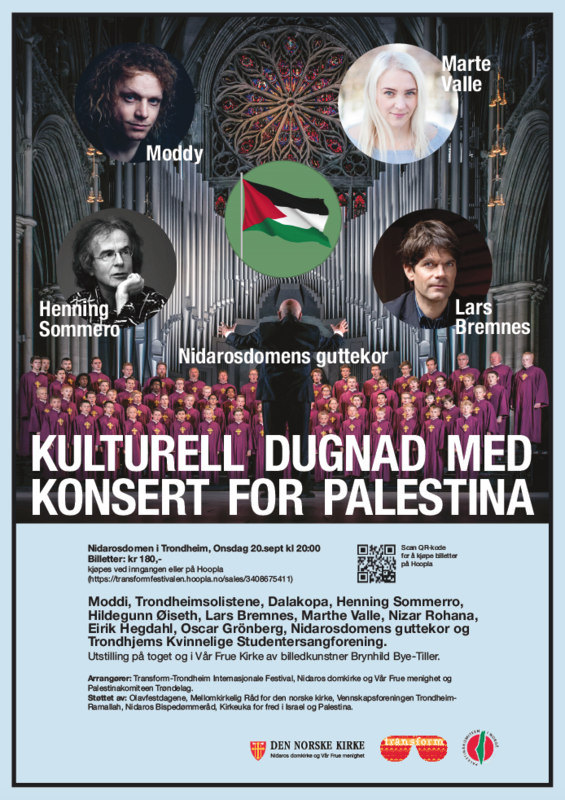 Venue: Al- Tireh street, Sareyyet Ramallah, downtown Ramallah, occupied West Bank, Palestine. Venue: Our Lady's Church and North-East quadrant of the Market Square in Trondheim, Norway. Art work: 5 photographic series and 1 facebook-assembly. 1 series with portraits in color outdoor around 7 large pine trees with 28 large format photographies. 1 series with 50 small format portraits in color indoor. 2 series with 30 medium sized format documentary photographies in color indoor. 1 series with 60 small format documentary photographies also in color indoor. 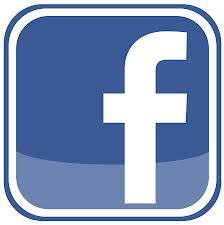 1 assembly of 60 facebook screen shots on the wall from the players private facebook pages. In addition to my own photographic work 4 local and international photographers was invited to participate. Shadi Baker. Title: Athletic women: "Passion and glory". Photo. Qais Assali. Title: "Female wanted". Photo. Paul Lorgerie and Franziska Grillmeier. Title: "Nabi Saleh, the story of women fighting for liberty". Photo & text. The Captain of the team, speech during the opening 2015 .aiff Audio. Art work: 2 photographic series. 1 photographic series THE THRUTH ON THE GROUND with 37 photographies printed on metal and mounted on 32 stone slabs placed in a semicircle around a sun dial in the north-east quadrant of the market square. 1 photographic installation AWAY GAME with 9 vertical roll-ups (2 metre tall) with portraits in color placed in a tight tactical battle formation inside the tower hall of Our Lady's Church. Information meeting for the Norwegian host families, Trondheim, Norway. 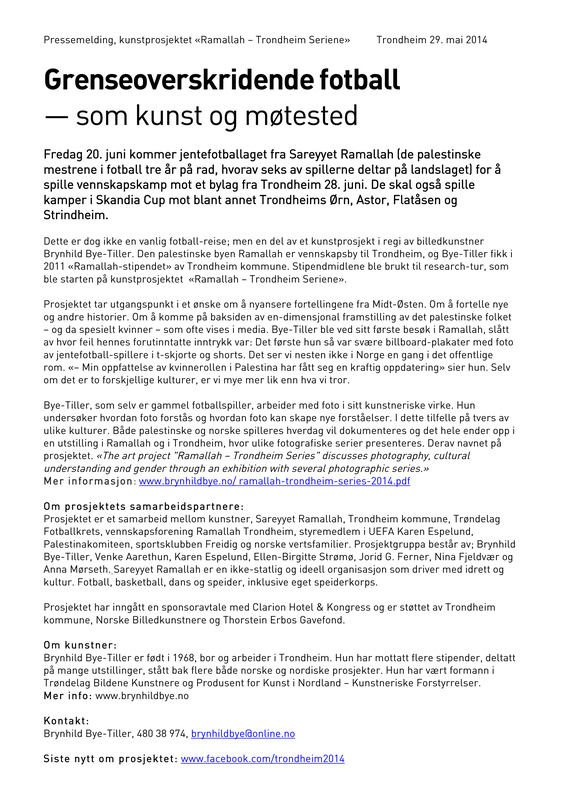 The project was a cooperative effort between the Norwegian visual artist Brynhild Bye-Tiller, a Palestinian Women's Football Team from Sareyyet Ramallah, the main partner Sareyyet Ramallah, a Norwegian Women's Football Team from Trondheims-Ørn, Norwegian host families, the Municipality of Trondheim, the Norway Football Association, the Sports Club Freidig, Vanvikan Scouts and other local partners.